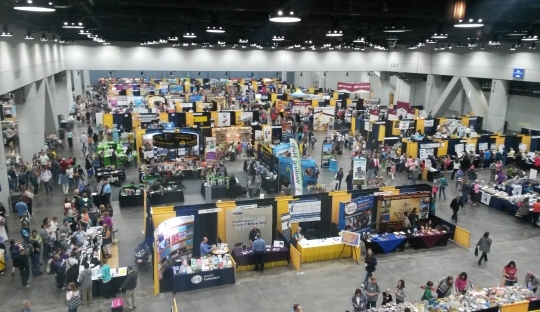 This past weekend, I spoke at the 2015 Midwest Homeschool Convention. I gave a total of six talks. Four of them were solo talks: Creation versus Evolution: Religion versus Science or Religion versus Religion?, What I Learned by Homechooling, Reasonable Faith: The Scientific Case for Christianity, and College and Faith: What’s The Real Story? 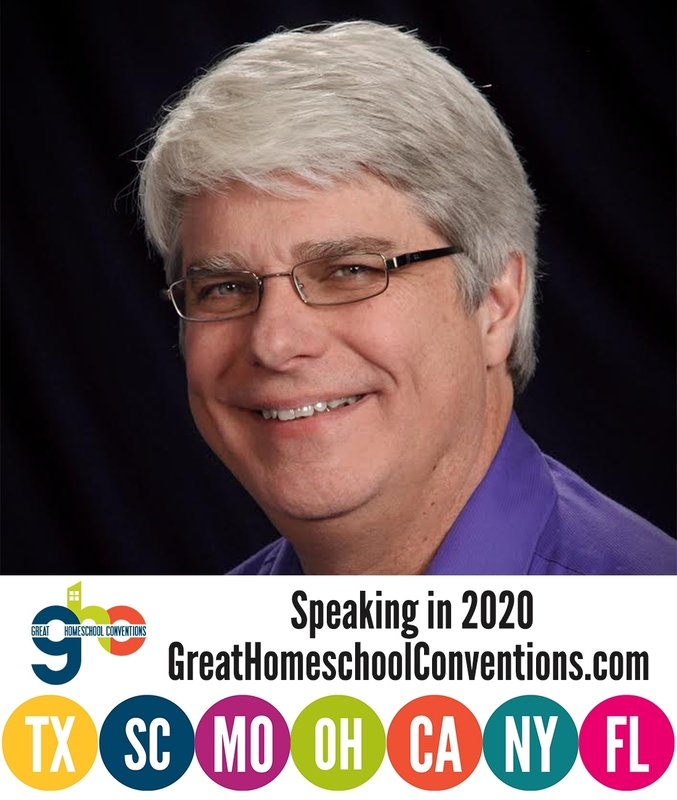 I also gave two talks with Diana Waring: Homeschooling: Things We Wish We Had Known and Dealing with Pressure: The Benefits of Slowing Down. The conference was very well attended and ran quite smoothly. I did learn one sad thing, however. Diana Waring announced that she is retiring from the homeschooling conference circuit. She will still be writing, but she will not be speaking at homeschool conventions on a regular basis anymore. The homeschooling community will be missing out on some real blessings as a result. If homeschoolers want to continue to benefit from her wisdom, they should follow her blog. I also got a chance to answer some very good questions at my talks and during what little free time I had at the convention. I got one very interesting question while I was walking back from one of my talks to my publisher’s booth. It came from a student who reads this blog from time to time. He characterized himself as a “theater nerd,” and he knows that I have written several original plays. He noticed that all the plays posted here have Christian messages. He asked if I had ever written a play that doesn’t have a Christian message. I thought about it, and to the best of my recollection, I haven’t. He then asked why I perform in plays that don’t have a Christian message when all the plays I write are focused on a Christian message. That’s an excellent question, and I had to think about my answer. In the end, I think that the only reason we as human beings can appreciate art is because we have been made in the image of God (Genesis 1:26). As a result, art interacts with our spiritual nature. At the same time, however, we experience art in different ways. One way we can experience art is to simply enjoy it. I enjoy a lot of art, and much of it has no relation to Christianity at all. Nevertheless, it is still spiritual, because it uplifts my soul. 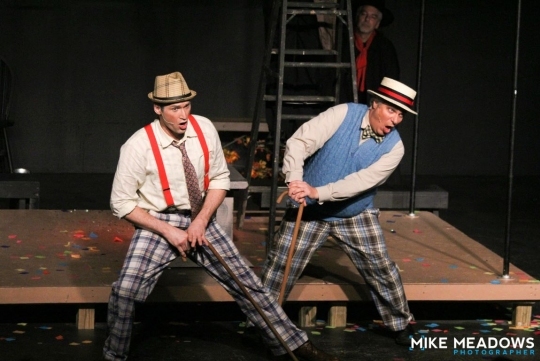 Performing a role in a play is, for me, another way of enjoying art. Many actors think they are creating art when they perform a role, and I wouldn’t argue with them. For me, however, I don’t think I am creating anything when I perform a role. Instead, I am interpreting art that has already been created. As far as I am concerned, that’s a lot like looking at a painting and interpreting the artist’s message. Because I have been made in the image of God, I enjoy a lot of art, regardless of whether or not it has a Christian message. As a result, I enjoy performing in plays, regardless of whether or not they have a Christian message. Creating a work of art is another way of experiencing art, but it is quite different from enjoying art. In order to create something, it must come from deep within your soul. For me, Christianity is at the core of my being, so it is only natural for the art that I create to have a Christian message. Of course, calling my Christian dramas “art” might be a bit pretentious, but that’s the way I see them. Even when it comes to the science textbooks I write (and I know many students would would not consider them “art” in any sense of the word), they have a Christian message for the same reason. I always found it difficult to leave out the Christian message in the articles I wrote for the mainstream, peer-reviewed scientific literature, and I love the fact that I don’t have to do that for the science texts I write! I really appreciated the student’s question, because it made me think about my original works in a new way. This is why I love speaking at homeschool conventions. I get a chance to teach, but I also get a chance to think about things in a new way. As a result, I often learn something new!